The absolute necessity for any man who loves wet shaving. 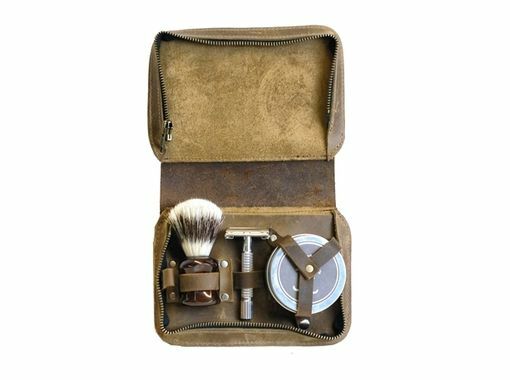 For the wet-shaving enthusiast, it's important to keep your safety razor away from all your other toiletries to avoid dulling the blade, and it's important to give your brush the opportunity to dry properly, not squished against other toiletry items – this case allows you to do just that, in style. Our signature design, inspired by the old vintage shaving cases from the 50′s! 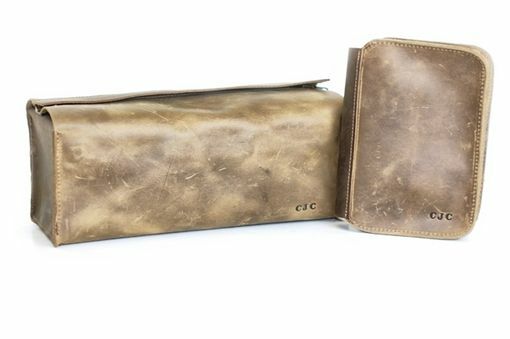 Hand made with two different colours of rich oil tanned leather – light and dark brown, and designed to distress beautifully. 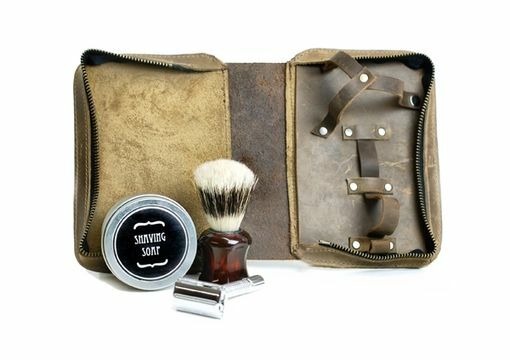 The case features two adjustable slots for shaving brush and razor, and a shaving soap tin (2.5″ in diameter, will accommodate most shaving soaps) to keep everything tidy and free of spills. 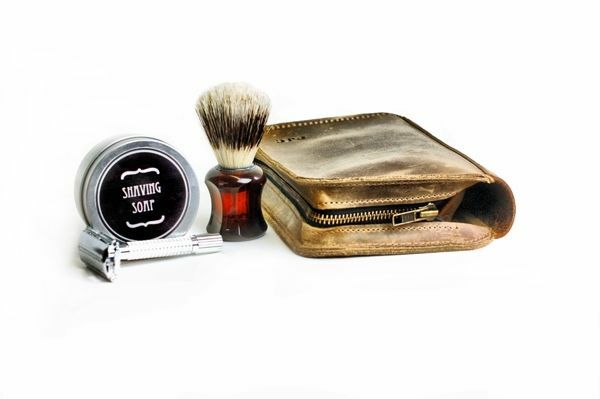 The case is specifically designed for easy access and to allow air flow to your shaving brush so you can put it away right after using it. The case is stitched with industrial grade nylon thread and has a zipper closure. Hanging on the end of the zipper tab is a small antique skeleton key. Choose to have up to 3 letters monogrammed on the case for free! 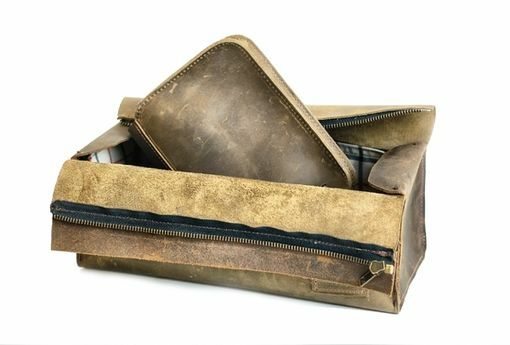 This case fits perfectly in our larger Men's Leather Toiletry Bag with removable waterproof lining, making a beautiful set, ready for gift giving!